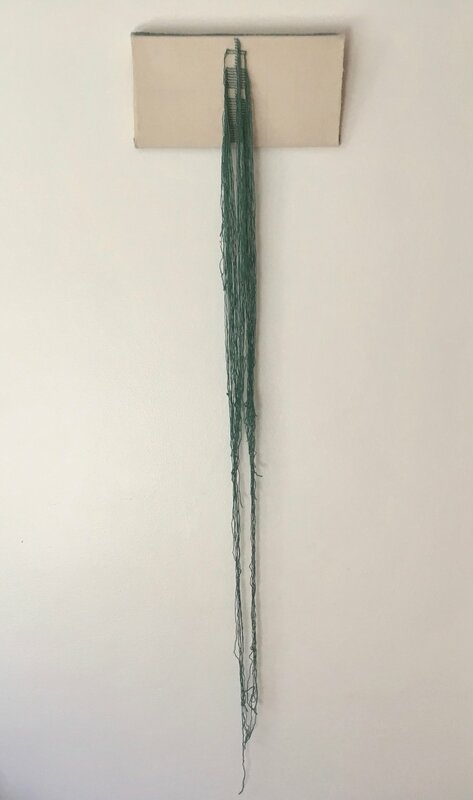 My studio work for Fall 2017. 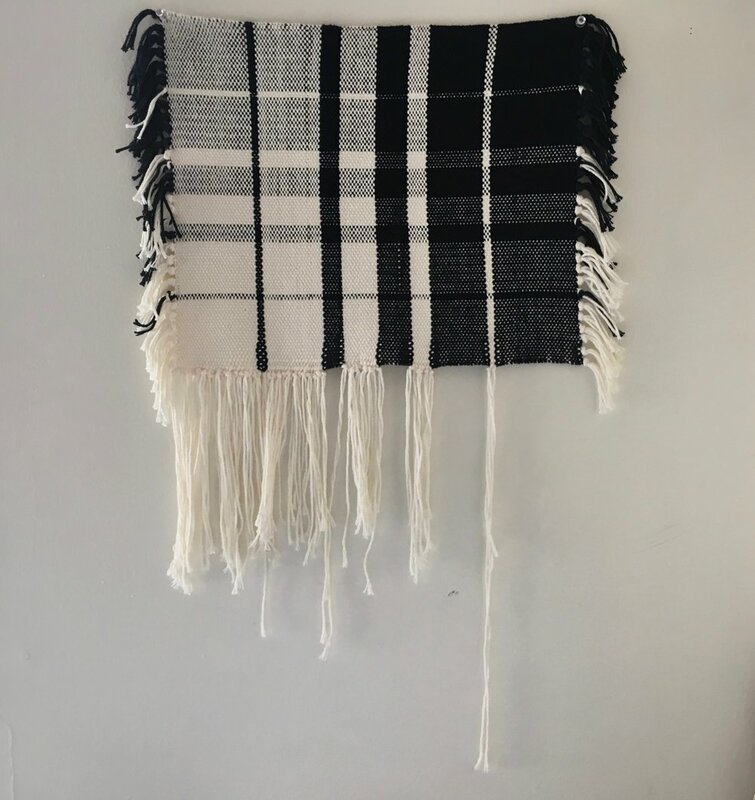 This fall I've been working on weaving. 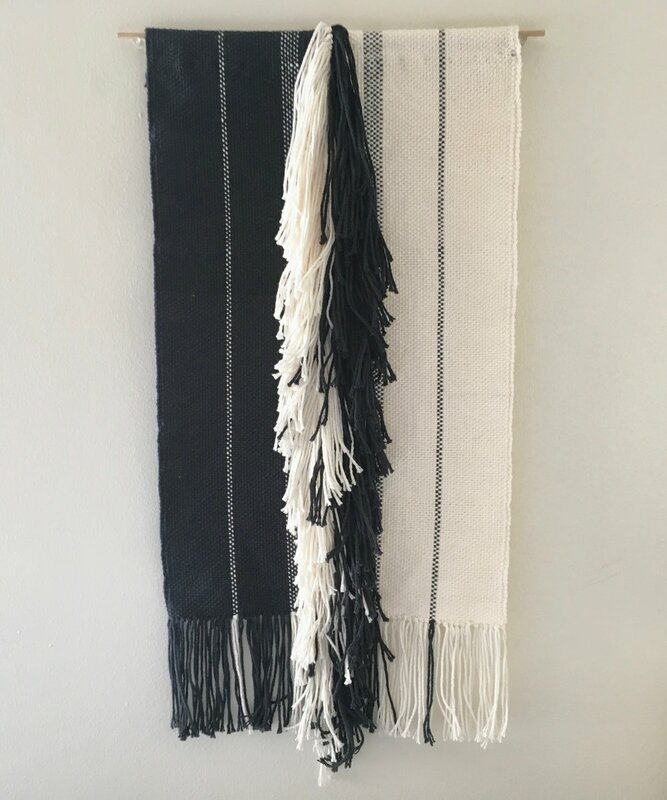 Weaving is a very physical process, and one that speaks to my own body and history as the daughter of a weaver myself. 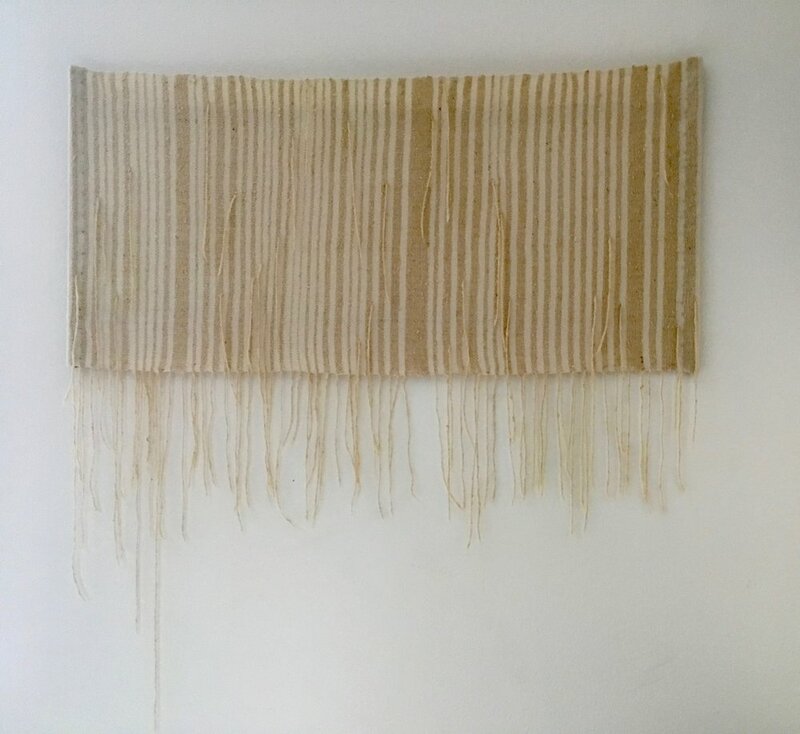 In my studio work over the last few months as I've been working at the loom I've been pursuing this physical connection and experimenting with ways to articulate the physical within woven pieces. 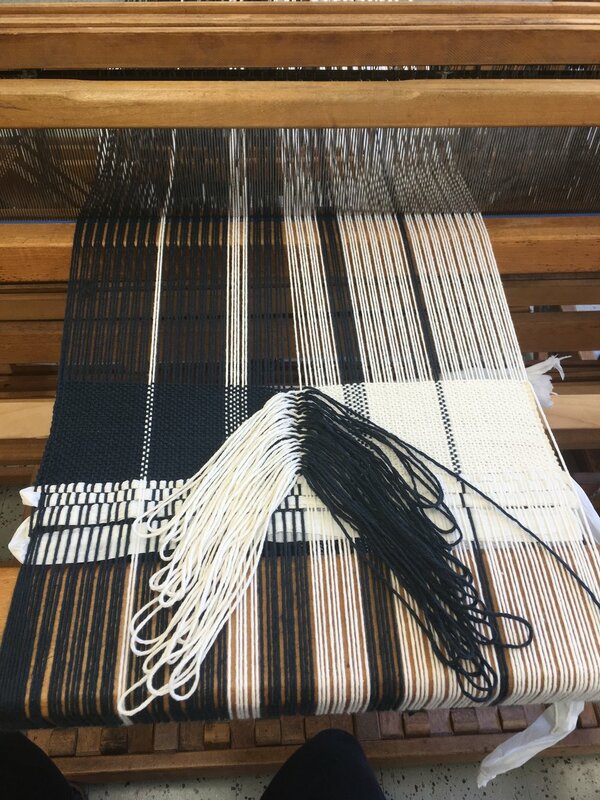 I began with materials studies, specifically playing with manipulation in the weft and hanging selvedge edges, all in plain weave. 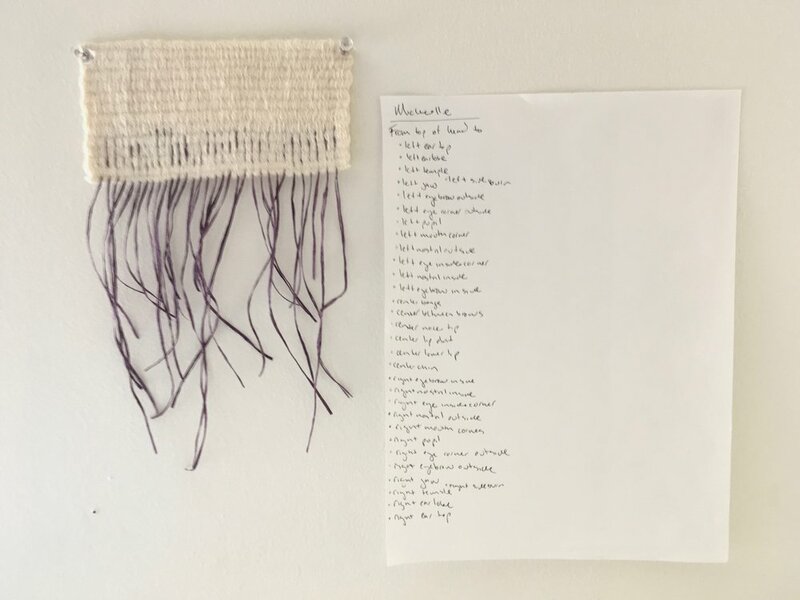 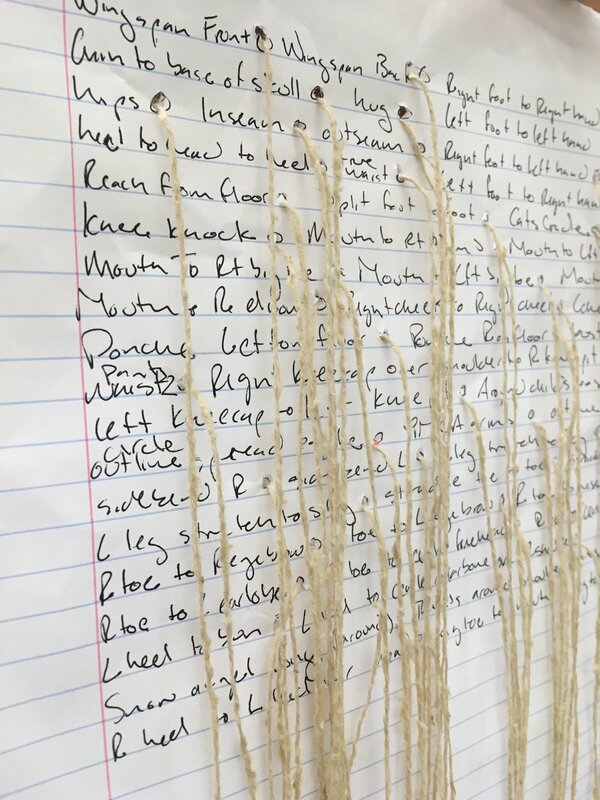 I continued into studies in activating the weft threads through physical actions; measurements and movements in my own body and others. 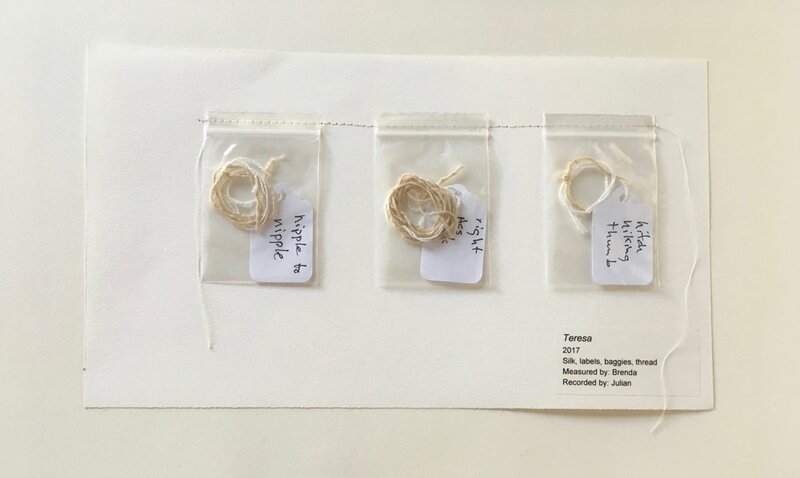 These activated weft studies belong to a larger body of work playing with physical records/portraits in labeled string measurements. 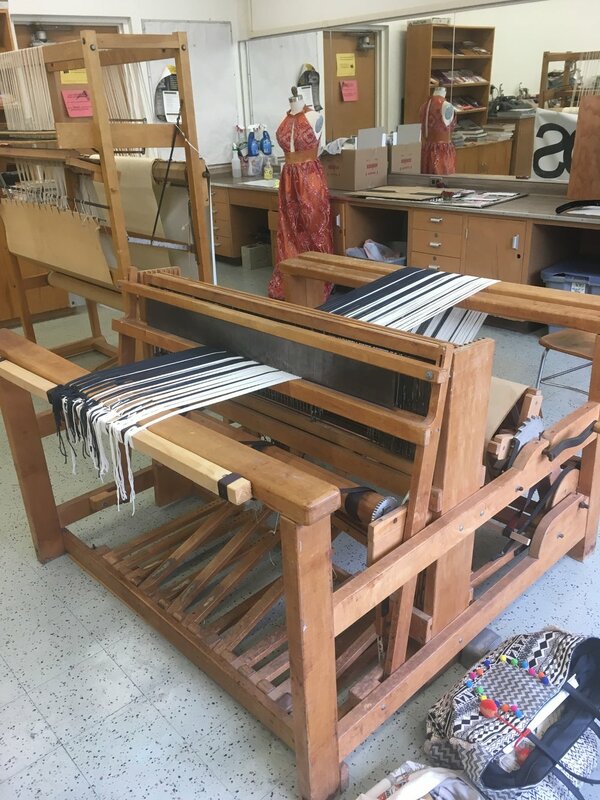 Here are some process photos and finished pieces from my work over this semester. 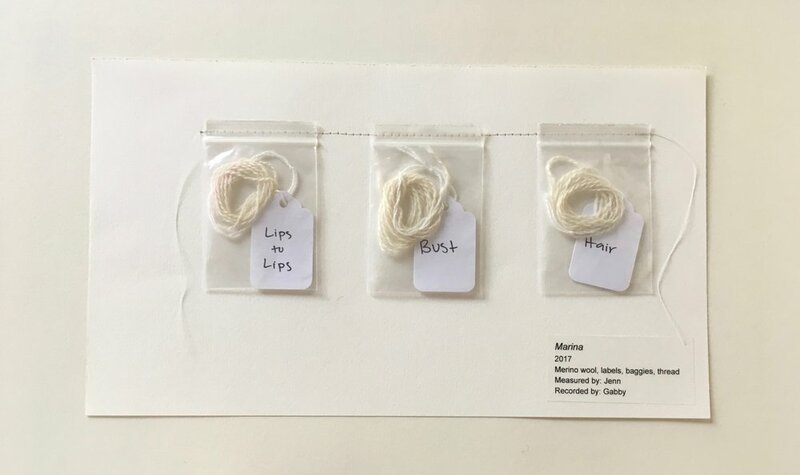 Silk and Linen, 6 1/2" x 7" x 1"
Cotton, 21" x 16" x 2"
Cotton, 13" x 26" x 2"
Silk, labels, baggies, 11" x 6 1/4" x 1/4"
Merino Wool, labels, baggies, lipstick, 11" x 6 1/4" x 1/4"
Kitchen twine, labels, baggies, 11" x 6 1/4" x 1/2"
Cotton, labels, baggies, 11" x 6 1/4" x 1/2"
Silk, merino, 24" x 25"
Merino, angora blend, 7 1/2" x 10"
Silk, merino, 6 1/4" x 11"
Lambswool, merino, 11 1/4" x 44" x 2 1/4"